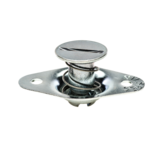 These Ejector Fasteners provide 1/4 turn action, with spring loaded studs that eject from the receptacle when unlocked. 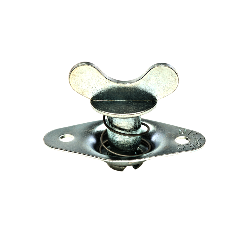 They will not hang up when sliding or when curved panels are removed, and show a visual sign of an unlocked fastener. 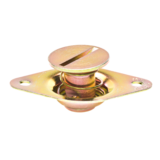 The stud assembly is mounted directly to the outside panel with 1/8" rivets or screws. There are two diameters (series), #5 and #6. Each series comes in several lengths. Typically these are made with a slotted head or a fixed wing head for hand operation. Other lengths, head styles and finishes are available (minimums may apply). If you have any questions or need technical assistance, please Contact Us for details, we will be glad to help.